So, I'm checking out CafePress. Lots of Mother's Day Gift Ideas. Everything from t-shirts, totes, aprons, mugs and sooooo much more. One great options is making customized personalized gifts. Disclosure: No product was received or compensation. Gift Baskets are the universal gift. They are perfect for any occasion and the selection is endless. GourmetGiftBaskets.com has the perfect Mother's Day Gift Baskets. I was looking over the selection and I thought the French Watering Can Mother's Day Gift Basket was just the cutest. GourmetGiftBaskets.com was so kind to send a Mother’s Day Butterfly Tea Time Gift Basket for me to review. It is wonderful! Filled with Raspberry Filled Butter Cookies, Honeybush Tea Shortbread Cookies, Raspberry Decadence Tea Cookies by The Famous Pacific Dessert Co. and Blueberry Tea Shortbread Cookies. Tasteful Green Earl Grey Everyday Tea, Pink Raspberry Everyday Tea in the most beautiful spring colored Butterfly Tin Pail that can be reused. *On August 15th, 2009, GourmetGiftBaskets.com broke the Guinness Book of World Records record for the World’s Largest Cupcake. "My son would LOVE that cupcake"
*They offer Fresh flowers and plants. "I didn't realize this until looking around." 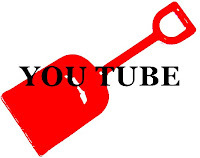 *They have been featured on Today, Food Network, Wheel of Fortune, Dr. Phil and many more publications and shows. Thank you so much to GourmetGiftBaskets.com for the wonderful Mother’s Day Butterfly Tea Time Gift Basket to review and offering one to one of my readers. ATTENTION: I know this will be a short contest, but would like to get this out for Mother's Day. Mandatory Entry is to visit GourmetGiftBaskets.com and tell me what other product you love. I like the Mother’s Day Butterfly Tea Time Gift Basket, with pink tin and purple & blue flowers". *You can tell me another basket from GourmetGiftBaskets.com you like for (2 entries). Disclosure: Please note this giveaway was presented by GourmetGiftBaskets.com & Mother’s Day Butterfly Tea Time Gift Basket was sent to me. I did not receive any other compensation. All opinions are my own. I've fallen for vinyl wall decals. Why? they are easy peasy to use. I came across Dezign With a Z, and they have a large assortment of wall art to choose from. Beginning with Laptop Skins and Glow in the Dark wall graphics. The products are certainly different than any other site. I thought the wall mirrors, wall clocks, chalkboard, and custom decals were delightful. Mini decals are adorable. Dezign With a Z's Wall Mirror reflects like a mirror, but made with 100% mirrored acrylic / resin material to resist breaking. The states chalkboard can be great for learning the states and is just plan wonderful. Thanks to Dezign With a Z for giving one of my readers a $30 gift certificate. Mandatory Entry is to visit Dezign With a Z and tell me what other product you love. I like the kittens in black playing with string in size 8x10". Disclosure: Please note this giveaway was presented by Dezign With a Z & a sample was sent. I did not receive any other compensation. All opinions are my own. Did you know banana's that have brown spots on them, well they have "CHICKEN SPOTS" according to my 3 year old. He also crowns me as a princess with the carousel thing from the baby's swing. Puts it on my head and says I love my Princess and I get a big kiss. He is so sweet..
Well here are some fun giveaways I thought you would like to know about and don't forget to enter my Snorg Tees, Guidecraft, and HearthSong Giveaways. There are some more coming up for the May to Play Event and the Carefree Days of Summer Event so stay tuned. Laura from The Ethertons is having some wonderful giveaways. 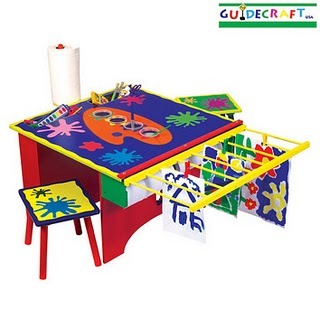 To name a few SODA STREAM, CHARM FACTORY, LUNCH PUNCH, CAMERA STRAP COVER, VAT19 SKYBALL, Gourmet Gift Baskets- Mothers Day Classic Gardening Gift Basket and to name a big upcoming giveaway how about a Guidecraft Art Table. My son is no exception, he loves to play in the dirt. So when I found the Sand Digger at HearthSong I knew he could dig up lots of fun with it. That's just what he has done, spinning the Sand Digger all the way around. Pulling handle to dip sand and then swing it over to drop it out. All metal, with a plastic seat assembly of the HeartSong Sand Digger was fast, bolting the seat to the Body, and locking to the Base. The body includes the handles and diging bucket already assembled. This is one easy toy to put together with an adjustable wrench (not included). One of the best things--NO BATTERIES-- In no time at all, he was ready to dig. My husband had to show my son how to operate and then he was an expert at it:) I recommend the Sand Digger for a excellent outdoor toy for lots of fun and play. HearthSong offer many fun toys to entertain, educate and inspire. I'm sure you will love all the items HearthSong offer and find just the perfect toys for fantastic fun play. Thanks to HearthSong for being a sponsor of our May to Play Sponsors. 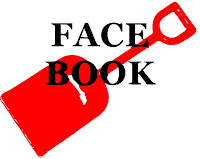 HearthSong will give one of my readers a Sand Digger. Mandatory Entry is to visit HearthSong and tell me what other product you love. Sand Digger, metal built with plastic seat, movable & functions". Disclosure: Please note this giveaway was presented by HearthSong & I received a sand digger to review. I did not receive any other compensation. All opinions are my own. In honor of Earth Day, my son and I planted some flowers & tomatoes yesterday evening. Just never doubt what is is the water around you. My husband and I was heading up river to a honey hole we found. What's a honey hole "lots of fish in one area." We were talking an laughing and about that time he pointed his finger out to the Cliff. There lounged out was a couch potato. Why say couch potato? Cause it was the brightest gator we had both ever seen and to call it a gator was underestimating how big it was. This gator was around 16 foot long and fat. I was shocked to see something that big laid on the side, like it was lounging ever so comfortable. It laid there with no concern of us and guess what? Our honey hole was across from it. Looks like it was his honey hole too. My husband pulls right on in and starts fishing. I'm there with my rod, looking over my right shoulder. About 10 minutes goes by. My husband asks "are you OK? cause you haven't said a word. What is it? are you afraid that gator going to come get you? Laughing!!" Well yes, I was scared! I admit it! That gator would have no problem taking on our 12 ft boat. The boat was smaller than him and I've heard stories about gators being aggessive. Well as it turn out, the fish was barely biting, and we decided to go back down river. The couch potato had slipped back into the water and was out of sight. "NOT OUT OF MIND." We get to the next fishing area and my husband says, "what a big gator, and named it couch potato." I've seen a few gators, but nothing like that before. To be honest my toes will not be back in the unknown water. Guidecraft offered a product for my family to review and let me say the selection for a Guidecraft Rocking Chairs is incredible. There are the Butterfly Collection, Pirate Collection, and Safari Collection which went perfect with my son's room. Safari images of Elephants lions, giraffes, and zebras painted with brilliant artistic color, but the the designed is hand carved into the chair. This design element is what sets Guidecraft Rocking Chairs apart from the competition and brings the design alive. My children wanted to know what was in the cardboard box. The product was shipped very secure. Tight package to prevent sliding and scaring of the product. Putting the rocking chair together was easy following the instruction; however the children were all into the project. They were so excited, so it did take a little extra time to complete. The rocking chair is made of strong wood and solid construction. The Guidecraft Rocking chair has go to be the cutest handcrafted rocking chair. The characteristic it gives off can bring a child's room alive. Guidecraft also tests paints prior to production for the presence of heavy metals. As a responsible company products meet or exceed mandatory safety standards. My smallest son wanted in the rocking chair so bad. He kept lifting his leg trying to climb up and rock like his big brother. So, I had to give him some help. See that little satisfied look. He loves the Guidecraft Safari Rocking Chair. The Safari Rocking Chair is a perfect fit in my sons room. We are so pleased to add this beautiful piece from Guidecraft to my children's room. It is a true pleasure to have such a beautiful piece of children's furniture and bring joy to my family for years to come. To keep up with new products and giveaways from Guidecraft you may want to follow on facebook. Thanks to Guidecraft for being a sponsor of our May to Play Event. 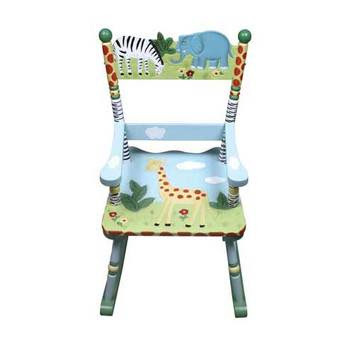 Guidecraft will give one of my readers a Safari Rocking Chair. Disclosure: Please note this giveaway was presented by Guidecraft & I received a rocking chair to review. I did not receive any other compensation. All opinions are my own. Preparing for the May to Play Event with Tricia Night Owl Mama. June/July The Carefree Days of Summer Event with Holly @ I Like It Frantic & Tricia @ Night Owl Mama. Enter to win a Voila Workbench from Gummy Lump Toys. This giveaway will end on Midnight May 4, 2010. Courtesy of Mommy PR the List of PR Friendly Mom Bloggers to link up. Night Owl Mama & I have teamed up to bring our readers "May To Play." We are working with fantastic companies to help kick summer off with giveaways, safety tips, and family play & fun ideas. Some sponsors include Hasbro, Hearth Song, Guidecraft and me4kidz. Hoping everyone will join us, grab our button and have fun!!! The button code is on the right hand side of my blog. My son was creative the other day, he wanted to play hopscotch. He had the wash rags on the floor set up into a game of hopscotch. Time to announce the winner of the earring giveaway!!!! Thank you everyone for entering!!!!!! First what was seen. Saturday, we visited my grandma's house. We a had a great time catching up and the kids spent time with their great grandma. Today, my son was talking to his nanna, she asked him "did you have a good time seeing grandma?" He told her, "yes, and I saw grandaddy too." Nanna says, "you saw grandaddy? What was he doing?" He replied "he was tired and sleeping on the couch." Ok what can you say! Grandaddy died in 2004 and my son wasn't born until 2007. So I showed him a picture, he said that's him. Leaving it at that. Frugal Family Fun Spot has this very nice Kolcraft Contours Classique 3-in-1 Bassinet giveaway. It could be just perfect for someone, but you must hurry!! Ends April 11,2010 at 11:59 P.M. PST Good luck everyone. Hello! New to my site? 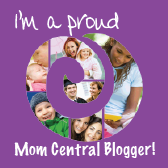 My name is Jennifer McCullar and I've been blogging since 2008. 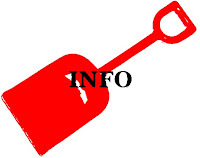 In March, I began hosting reviews and giveaways on Life Is A SandCastle. I love to meet friends, stay in touch with old friends blogging, and finding the latest family friendly products. I'm married and a proud mom to 2 little boys 3 years and 9 months. We love to fish, campout, and just hanging out together. My ultimate blogging goal is to try to help others even with just a comment. Who knows how far a kind word can go. While your here enter my giveaways located on the left side bar. Thanks for coming by and I can't wait to get to know everyone! Ultimate Blog Party! 5 Minutes for Mom's style. Visit and learn what it's about, meet new friends and wonderful prizes. What is my favorites out of the Fantastic Line up? US1 – Win a $150 shopping spree at Pedal Cars and Retro Collectibles. USC 3 – A $50.00 Target Gift Card. US31 – A $20 Amazon gift certificate. US52 – A $25 GC to Amazon.com. US58 – A $50 online gift certificate redeemable at Costumes Inc.
US87 – 2 winners will receive a $30.00 Amazon Gift Certificate. I love a shirt that make an expression and stand out, that's exactly what Snorg Tees does. You know the shirt that you've got to notice. The best part is Snorg Tees have a large assortment of topics to cover everyone shirt preference. Snorg Tees are available to women, men and children and even have hoodies. Thanks to Snorg Tees for sponsoring this giveaway for t-shirt of your choice. The first mandatory entry is to visit Snorg Tees and tell me what you will purchase with link to the product you would like. Zombies Hate fast food shirt, Blue in color, man running and zombies behind". *Enter Night Owl Mama giveaways one entry for each you enter. Disclosure: Please note this giveaway was presented by Snorg Tees & I received a Child's shirt to review. I did not receive any other compensation. All opinions are my own. What could have been in that thing, could it be contaminated, who in their right mine would throw one out anyways. Dispose properly, so I come to this conclusion. It must be a drug needle, because I just don't see someone in their right mind throwing their needle out where kids could get it. Seriously this makes me so sad, it was the last place I would have ever expect this. I guess no where is safe anymore. A side from that we had a nice afternoon fishing, oh and my son and I caught the most white perch "sorry to my husband" :) Got to love grandma & pa for helping with the boys. This is just a reminder to get entries in for the $35 Fantasy Jewelry Box Giveaway by April 7, 2010 @ 11:59pm eastern time. Good luck everyone! Ever had the urge to get a blue or pink colored chick/duck or rabbit at Easter? We went to the local feed and seed store and there were the cutest little colored chicks. I had the strong urge to get one for my kids. Chicks, rabbits, ducks, little goats, & ponies, I was ready to start a farm. Then I came to my senses, the costs of being a responsible pet owner. Buying food, housing, animal necessities made me say they are cute and walked along.